Obituary for Marguerite (Westhaver) Bimm | Hillside Funeral Services Ltd.
Bimm, Marguerite- It is with profound sorrow that the family announces the passing of Marg, at the North Bay Regional Health Centre at the age of 83. 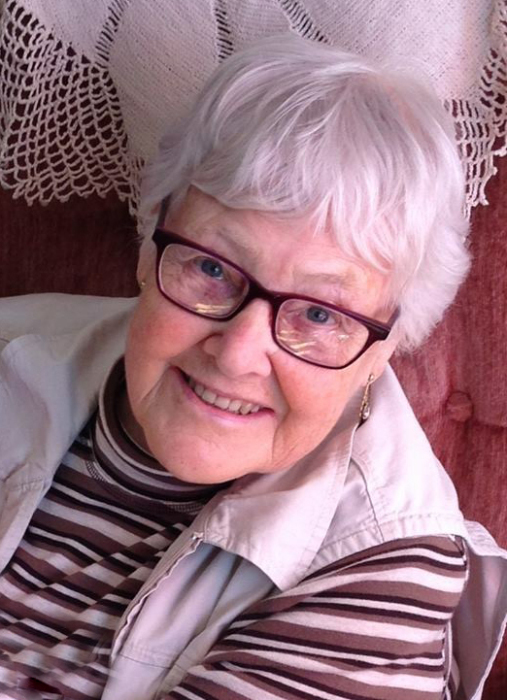 She was the beloved mother of Bill and Sue Bimm of North Bay. Cherished grandmother of Heidi Foisy (James) and Christine Bimm (Logan). Dearly loved great grandmother of Olivia Foisy. Marg was predeceased by her husband Al and her parents Frank and Anna along with her siblings Walter, Francis and Anita. Marg loved gardening and took great pride in filling her yard with flowers every summer for the neighbourhood to enjoy. She also enjoyed making homemade lunches for her granddaughters and all their friends during their high school years. She became Nannie to all the lunchtime crew. The family would like to thank Dr. Lukomska for her care over the years. A special thank you to the exceptional nursing staff at the North Bay Regional Health Centre for their kind and compassionate care of Marg. As per her wishes, there will be no visitation or service. If desired, donations to the North Bay Humane Society (cheques only) will be gratefully acknowledged by her family.